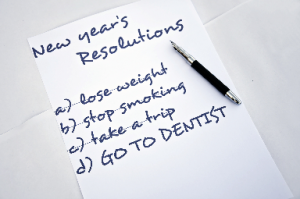 As the new year gets underway and you spend time setting new goals for yourself, is a healthy smile at the top of your list? While you make plans to improve your health or to become more financially stable, it is also a great time to establish dental resolutions. In addition to visiting your dentist in Lacey, there are simple changes you can make to promote a healthy smile this year.